You may not believe it looking at todays weather but spring is a fantastic time for a wedding. The sky is starting to brighten, the days are warming up and some of the most romantic flowers are coming into bloom. There is certainly a trend for spring weddings to emphasise all the best features of the season. Keeping that in mind, how better to celebrate the season of growth than with a cracking, spring-inspired meal? 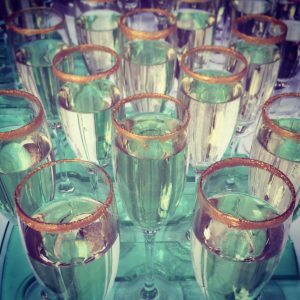 Here are the The Wedding Secrets top tricks and tips for creating the prefect, unique feast to match your spring wedding. Perfect to capture the relaxed and playful air of spring, a picnic style breakfast is a great alternative to a traditional three course meal. There is something just so nostalgic about a picnic and it’s a great way to get your guests enjoying a lovely mix of light, tasty foods. Mix old picnic classics with original twists to give your guests the meal of a lifetime. Emphasise spring’s fresh greens by having individual salads, or the ever popular, potato salad. If you want to break from tradition, salmon and crab are both great spring foods and perfect for adding a non-conventional twist to your wedding picnic style. 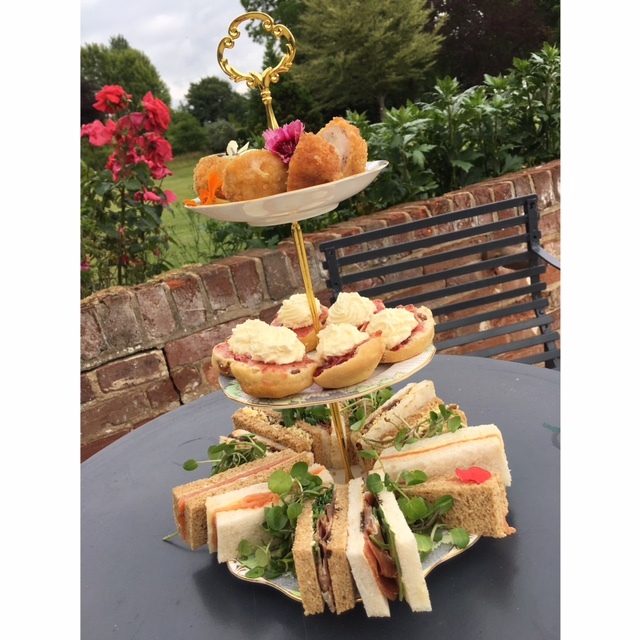 For those of you who adore the idea of a picnic, but would prefer something more elaborate, afternoon tea is the perfect compromise. The light meal is an English classic that invokes images of elegant ladies, sipping tea and eating scones on the lawns of a country manor (perfect for Chippenham Park). The whole set up is ideal for a spring afternoon and the delicate sandwiches and tiny tartlets are perfect for a classic spring wedding. To play on the spring theme further, why not include mini cupcakes with piped flower decorations on the sweets plate? You could even throw in a little personalisation by matching the flower decorations to your bouquet. Of course, some of you will prefer to stick with the classic wedding breakfast feast and if that’s the case don’t worry, there are plenty of ways to bring a little spring to the table. Spring is the season of new growth, so there are plenty of great fruits and veg that come into season around this time of year. Asparagus, artichokes, spring onions, peas and new potatoes are all at their best during the spring season. They add a bright, clean crunch to your meal. Spring chicken and lamb are also popular around this season and are both timeless classics that your guests are sure to love. Of course, once you’ve decided on the food, your guests will need something to wash it down with. Spring is definitely the time to start indulging in crisp, clear cocktails. Pitchers or mixers offer a brilliant pre-summer vibe and are perfect for filling with the best seasonal fruits and berries, while Bellini’s and Mimosas are a great treat to make your wedding sparkle. 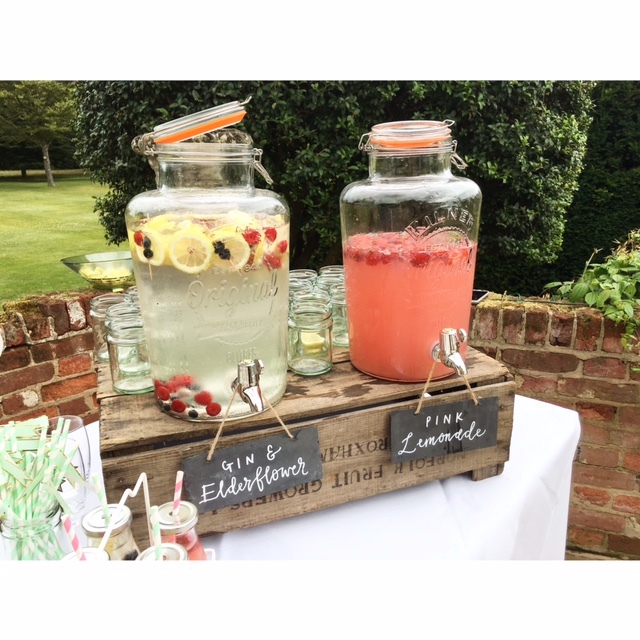 Cool refreshing flavours will go down a treat, so why not try the classic lemonade? 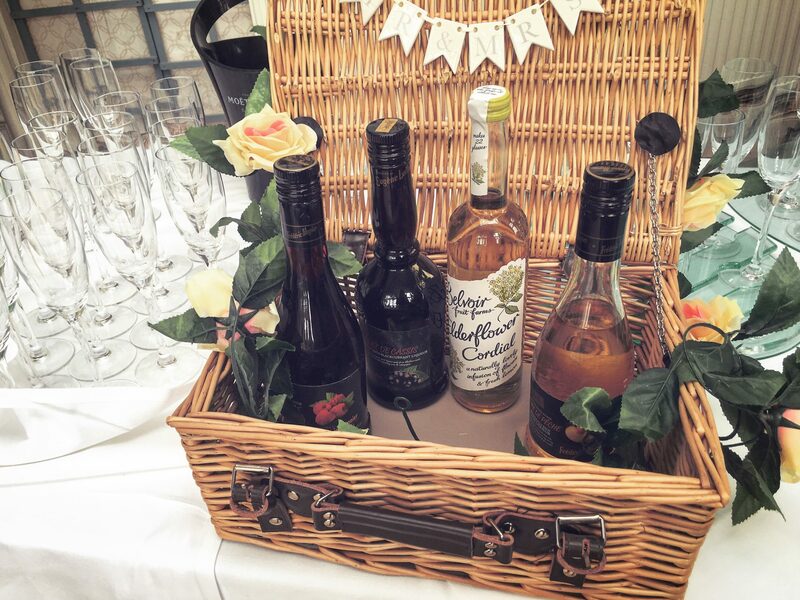 It’s a perfect choice for a family get together, and will go particularly well with the picnic/afternoon tea options. You can surprise your guests with a multitude of flavours, from lavender to kiwi and, of course, you can have alcoholic lemonade or Prosecco for the adults. It’s not just about the food. You can give your guests a delightful spring feel by incorporating the theme into your table top decorations. 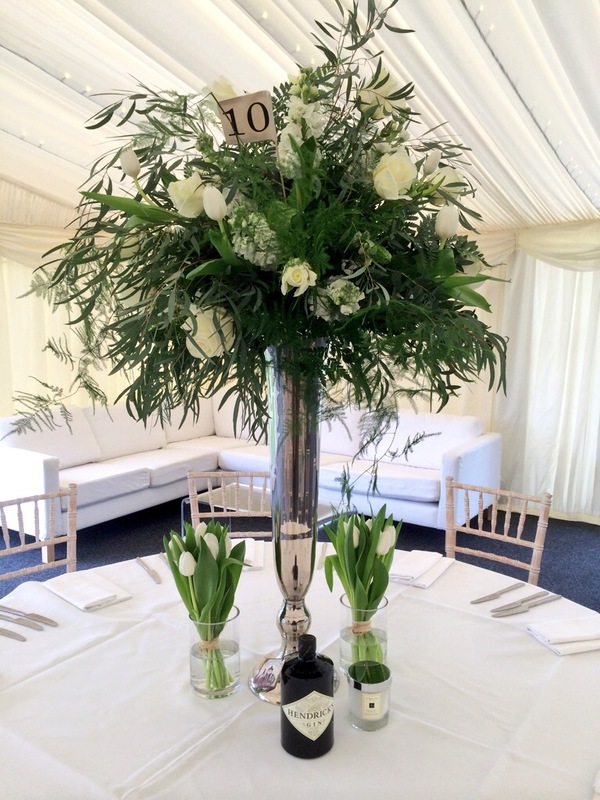 Wildflowers and tulips are both very popular at this time of year and make wonderful centrepieces. 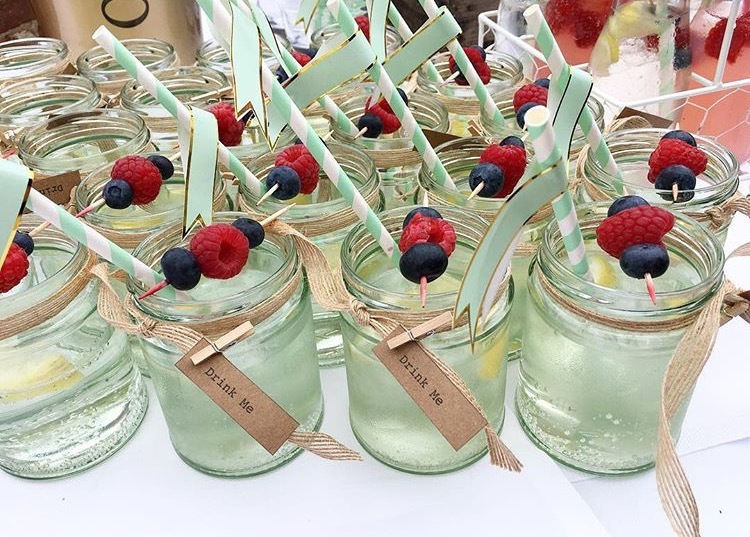 They are also really versatile, making them suitable for most weddings; you could display wildflowers in glass jars for a slightly rustic feel or create elegant posies of tulips. You could even tuck a little sprig of lavender of lucky heather into your guest’s napkins as a sweet wedding favour. For a wedding decoration that is really going to wow your guests, you can always look for inspiration in the more unusual places. With Easter right around the corner, eggs are a well established staple of spring. Blown eggs make delicate yet beautiful wedding decorations. You can either paint the eggs and use them as a focal point for a table centre of you could use the fragile eggshells as miniature vases and create dainty centrepieces of baby’s breath, crocus and bluebells. 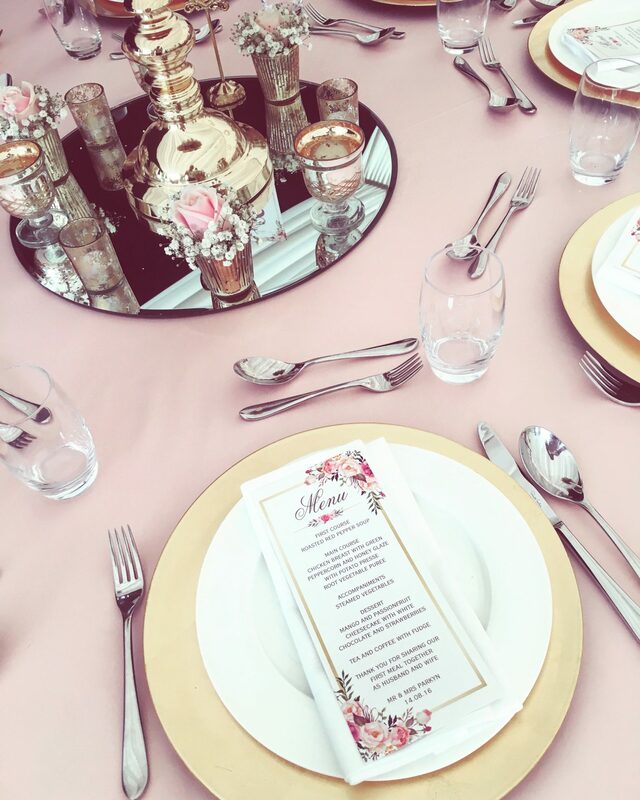 Whichever you pick, your wedding tables are bound to look fantastic. 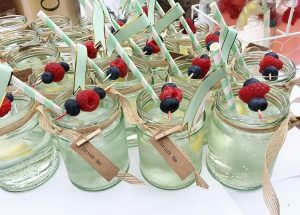 If you’re really looking for a unique spring wedding that will blow your guests away, here are a couple of little extras that you can add to your spring feast to make sure that you wedding is all that your guests will be talking about. Edible flowers are a fantastic addition that you can incorporate into a meal as a subtle nod to spring. However, if you’d prefer a little theatre you can also use edible flowers for your wedding toast. When added to bubbly, edible hibiscus will bloom. 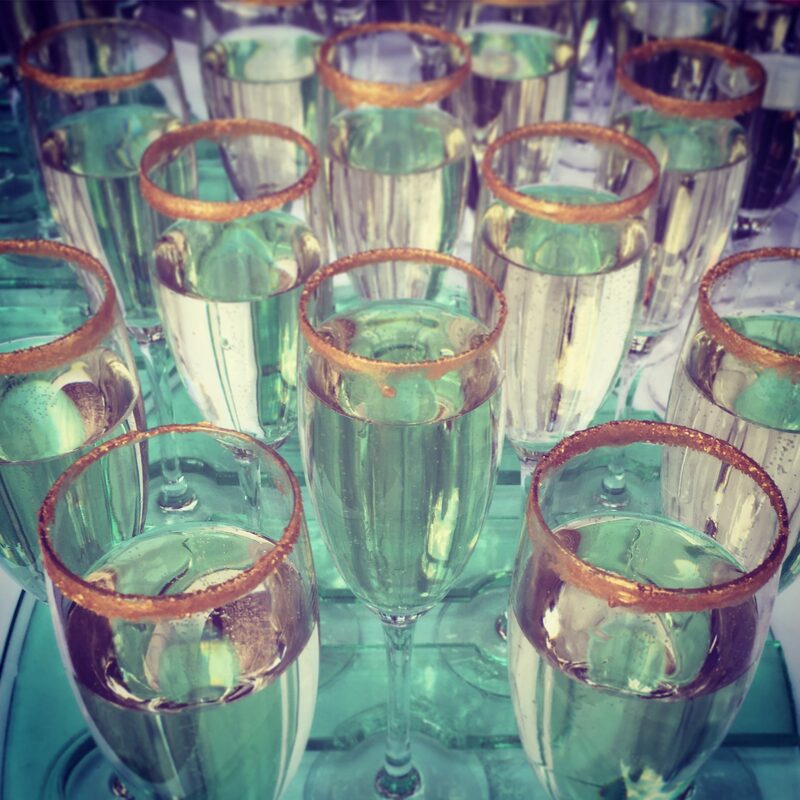 How better to celebrate your union and the season of growth than with a dash of bubbles and an open bloom. Another little finishing touch that you can add is a sweets table. Sweet tables are popular and let’s fact it, who can turn down a sugar rush! Strong pastel colours in pinks and yellows and blues are de rigueur for spring, so why not dress up your wedding table in these colours? Palma violets and mini-eggs both come in incredibly spring like colours and you can always accompany them with delicately coloured macaroons or little lemon tartlets. Elaborately iced biscuits are also a spring favourite, being a staple of Easter and would make a delightfully original wedding favour. Of course, these are just suggestions for ways to create the perfect seasonal feast to match your spring wedding. If you haven’t found what you’re looking for or would like to explore other options why not check out The Wedding Secret website for more tips, recommendations and ideas, to create your unique spring wedding.